DIRECTIONS TO THE NERCC SITE! SO YOU WANT TO COOK COMPETITION CHILI? 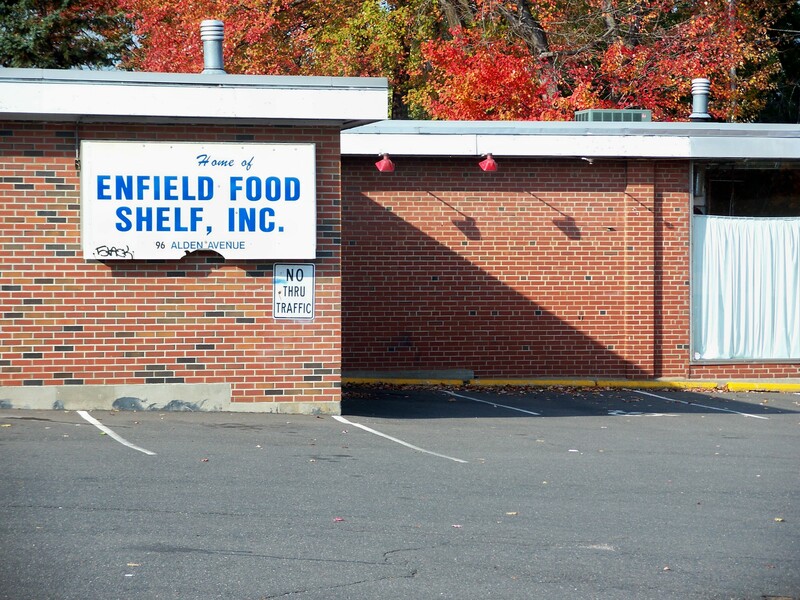 The Enfield Food Shelf is a volunteer, non-profit organization. It's mission being to ensure no Enfield resident goes hungry due to a lack of resources. These services have been provided for over 39 years, when a group of church ladies got together to collect food for families that were struggling when the carpet mills began closing. Then it was for about 5 families, and today we distribute groceries to an average of 250 families per week. It is amazing how the need continues to grow for the services provided by the Food Shelf. Over the years, the numbers just get larger and the demands get heavier. The actual number of people receiving the benefits from the groceries we distribute range from 600 to 800 with almost half of that being children. Currently we are signing up 10 to 15 new families a week. Our clients include a cross section of the community: physically and mentally handicapped, seniors, single moms, group home residents, Spanish-speaking residents, hearing impaired, people that have been injured on the job and can no longer make ends meet, and people whose unemployment has run out. Basically, most of our clients work, but at a minimum wage pay, they cannot make ends meet. The Enfield Food Shelf is supported entirely from contributions from the people and businesses in the community. The schools (when in session) are strong contributors of food items, as well as the churches in town. We are able to order food through Foodshare (statewide warehouse) at a low,per lb. price, however, they do not always have the food we need to supply our demands. Then we must go to retail groceries and pay retail price. Money is always an obstacle when you have these kind of numbers to help feed, but luckily we have been able to reach out to the community and keep our doors open. THE NEW ENGLAND REGIONAL CHILI COOKOFF! "DEDICATED TO MAKING A DIFFERENCE!!!!" NO PORTION OR PART OF THE CONTENT OF THIS WEBSITE MAY BE USED WITH OUT THE EXPRESS PERMISSION OF THE OWNER. THE NEW ENGLAND REGIONAL CHILI COOKOFF!